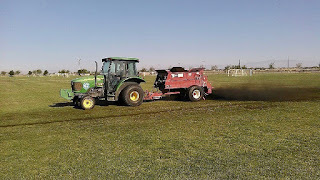 Agromin and Waste Management of Antelope Valley are collaborating to rehabilitate the turf at the City of Lancaster's James C. Gilly National Soccer Center, which boasts 35 premium soccer fields. "The Soccer Center fields require over one million gallons of water per acre per year from an on-site well in order to stay healthy and green--the City of Lancaster sees this soil enhancement project as a continuation of its commitment to building a more sustainable community," said City of Lancaster Mayor R. Rex Parris. "We are excited to partner with Agromin and the local Waste Management team in this joint effort to make Lancaster a more sustainable place to live, work, and play." As part of this effort, Agromin's Turf Rescue product, which collects organic material from providers such as Waste Management, will be applied to reduce water usage; increase the soil's ability to absorb water; deepen root structure; and decrease water runoff. Additionally, the compost used on the soccer fields will be 100 percent organic. "The soil in many of the soccer fields has high sodium levels," said Rick Wilson, Agromin's chief technology officer. "The sodium causes the soil structure (porosity) to deteriorate, so water cannot move into the soil and reach the roots. The soil is also highly compacted due to the intensive play on the fields. Currently, much of the water doesn't always soak in. Instead, the water puddles after a watering or rain and evaporates or runs off. Turf Rescue can address these soil health challenges." Turf Rescue is a patent-pending formulation that includes compost, biochar and minerals. Biochar, a natural black carbon residue produced from heating wood under an oxygen-deficient environment at high temperatures, absorbs water while collecting CO2 from the atmosphere. It is found in abundance as a result of vegetation fires in the world's most fertile agriculture soils. 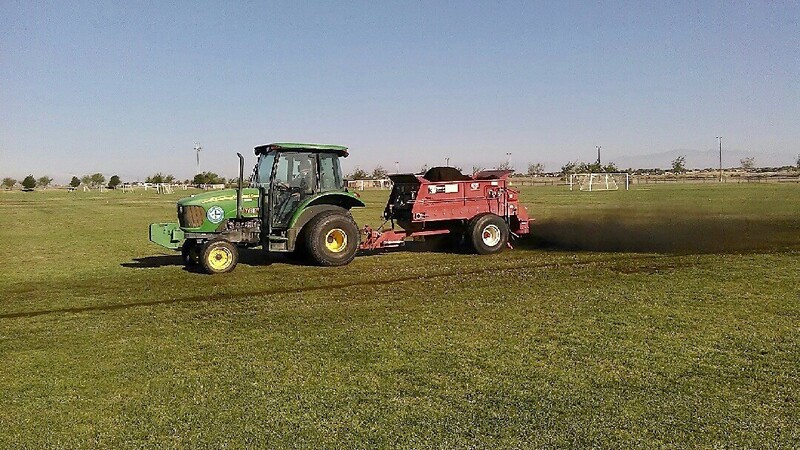 "Each year, the fields at the Lancaster National Soccer Center get a workout during soccer tournaments and practices," said Josh Mann, Municipal and Community Affairs Manager for Waste Management of Antelope Valley." As the environmental services partner with the City of Lancaster, we are thrilled to be supporting the City's sustainability efforts to help keep this important community venue green." "The combination of materials used in Turf Rescue will make the soil much more porous," said Wilson. "Once applied, water will reach deep into the soil instead of remaining on the surface where it would eventually evaporate. Once the soil begins to adsorb water, salts can then be leached out, further enhancing the porosity. The grass roots will naturally extend further down, looking for the moisture retained in the improved soil structure. Deeper root systems mean greater water availability." Agromin will first demonstrate the efficacy of the product on Lancaster's most water intensive fields (West Fields 11 and 12). The first step is to conduct multiple passes of deep tine aeration followed by field top dressing with Turf Rescue. Next comes several cycles of deep watering (leeching) of the salts. Wilson says it will take about a month to see a visual difference in the quality of the turf, at which time watering rates will be reduced. "If all goes as expected, the Soccer Center should be able to cut back on their field watering," says Wilson. "The turf will be healthier and stronger without puddling." Waste Management has served the Antelope Valley for more than 40 years and is proud to be a community partner and an environmental steward of its unique natural resources. As North America's leading environmental services company, we apply our far-reaching expertise and innovative solutions to an endless array of local issues. 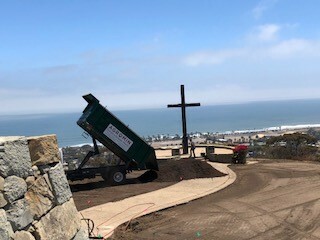 In addition to community contributions and significant volunteer efforts, Waste Management of the Antelope Valley provides residential, commercial, construction and recycling services. For more information of how we "think green," please visit www.keepingavclean.com. The City of Lancaster is a thriving community of approximately 160,000 in northern Los Angeles County. Clean air, attainable housing, wide open spaces, and a close-knit community make Lancaster an ideal place for businesses and families alike. In addition, Lancaster boasts more than 300 days of sunshine per year, making it the ideal place to pioneer new solar energy technologies. No matter how you look at it, it's positively clear that Lancaster is the perfect place to live, work, and play. 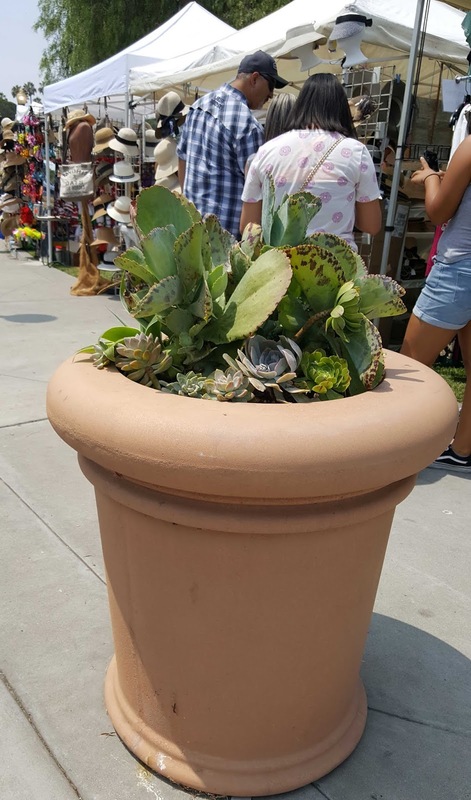 Just in time for the Oxnard Salsa Festival, Agromin donated 40, 16-quart bags of our potting mix to spruce up the planters in Plaza Park where the festival took place (July 28 and 29). The event drew tens of thousands of people who enjoyed dancing, music and salsa tasting in a wonderful, outdoor setting in downtown Oxnard. We're glad we could help make the planters look their best for this great annual event. 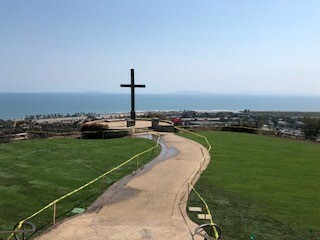 Restoration around Serra Cross in Grant Park in Ventura is well underway. Volunteers are removing trees and other landscaping damaged by the Thomas Fire that devastated the area. Dufau Landscape is working on grading. 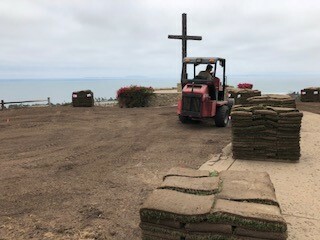 Agromin delivered 30 yards of soil amendment to help restore the grassy area around the cross. To volunteer, go http://www.serracrosspark.com . Grant Park is still closed to the public but hopes to reopen by the end of summer. Keep up the great work!